Founded In the late 1800's by Charles Suderman and Ben Dolson who began providing stevedoring operations based in Galveston, Texas. With the acquisition of their first steam tug, the Louise. Suderman and Dolson began to shift deck barges that were used extensively at the time to handle cargo. As the need for towing services grew, the Louise soon began assisting ships in Galveston harbor. diesel tug to operate on the Texas Gulf Coast. In 1934, the Suderman and Young Towing Company along with the Bay Houston Towing Company of Houston, Texas. Established an operating company, the G and H Towing Company of Houston, Texas. In 2001, Suderman and Young merged, and combined fleets with Intracoastal Towing and Transportation Company of Houston, Texas. In 2011, the G and H Towing Company became part of a joint venture between the Moran Towing Corporation of New Canaan, Connecticut. The Bay Houston Towing Company of Houston, Texas, and the Superman and Young Towing Company of Houston, Texas. Serving the Cameron LNG facility near Lake Charles, Louisiana. 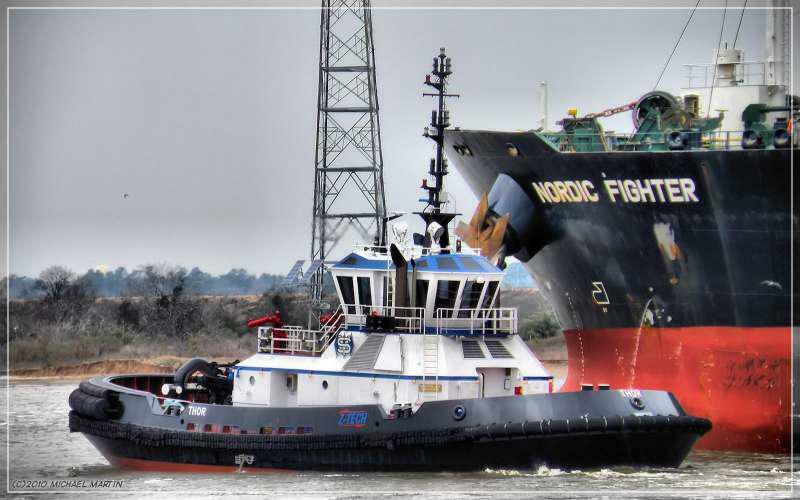 The Suderman and Young Towing Company, expanded, and upgraded their fleet to accommodate modern shipping and ship docking requirements. This included the addition of Z-Tech tugs, designed by the Naval Architecture firm Robert Allen Limited of Vancouver, British Columbia. The company services the ports of Houston, Texas City, Galveston, Freeport and Corpus Christi, Texas.